Coupon cannot be combined with any other offer. 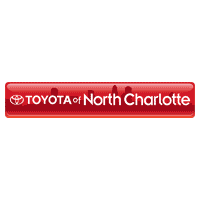 Applicable only at Toyota of North Charlotte's retail parts counter. Not available in the Service or Collision departments. Plus tax. Only valid at Toyota of North Charlotte's retail parts counter. Does not include installation. Discount taken off the regular price of Genuine Toyota Parts and Accessories. Does not include tires. Coupon may not be combined with any other offer. Plus tax. Cannot be combined with other offers. Does not include installation. Applicable at Toyota of North Charlotte parts retail counter only.